Where The Wild Things Are film. 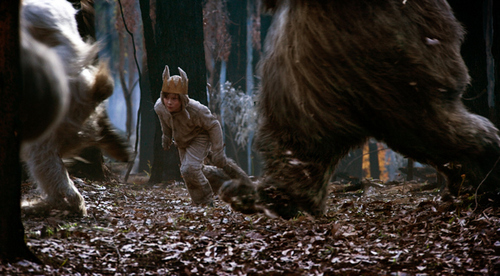 These are the pictures of the 'Where The Wild Things Are' movie that were leaked. Still don't really know the whole story.... Wallpaper and background images in the Where The Wild Things Are club tagged: where the wild things are maurice sendak movie shots spike jonze.